Oct. 97 - Sept. 99 Postdoctoral Research Associate at Rice University. All the publications are avaiblable here (with pdf files if available). 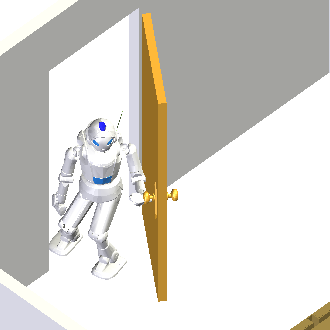 objects not grasped by the robot stay static in a stable position. These constraints raises scientific issues that we try to address by designing dedicated algorithms. a graphical user interface that enable a programmer to define the manipulation constraints relative to a problem. Definition of a manipulation problem. Definition of grasps and resolution. Pre-grasp position to ease motion planning The full sequence. The robot grasp each of 8 parts, move them to the caroussel where they are processed, put them back to the initially empty tray, and finally stacks the empty tray on top of the full tray. The goal of this research topic is to make humanoid robots able to perform every-day tasks in environments designed for human beings. Our research work focus on geometric motion planning, taking into account kinematic and dynamic constraints. 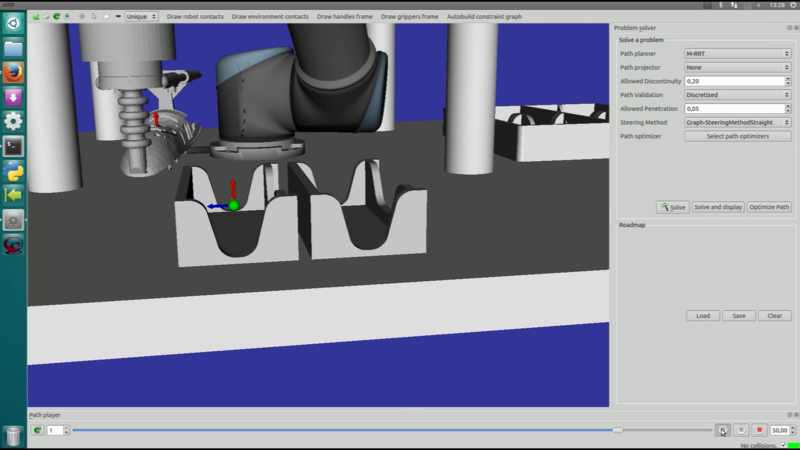 Our approach consists in augmenting object models with the information useful to manipulate these object. See [Dalibard et al 2010] for details. 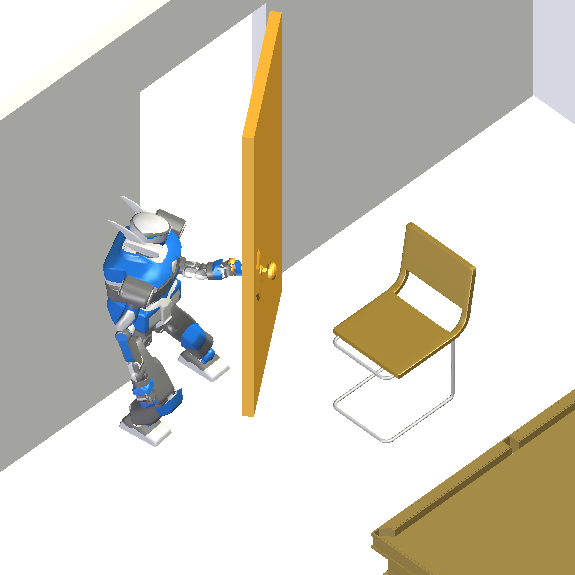 hpp-gik is a software SDK that implements task-based inverse kinematics. The sofware is released under license LGPL and can be found on github. 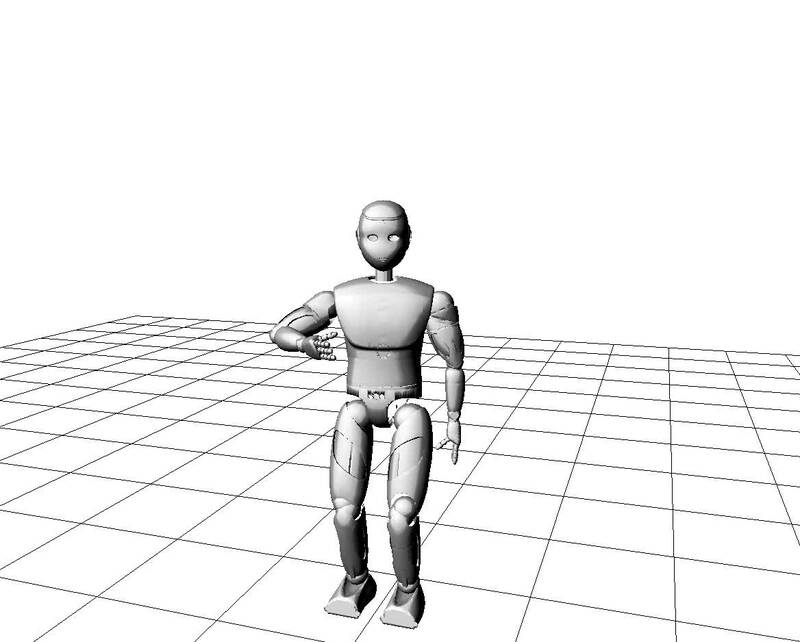 To use this SDK, it is recommended to download the tutorial The movie below shows a simple motion produced by hpp-gik including whole-body stepping and upper-body tasks. The goal of this research topic is to develop algorithms that will make articulated and kinematically constrained vehicles like trailer-truck systems navigate autonomously in partially known environments. The main challenge is to execute motions that can be very close to the obstacles of the environment. Our research work focus on two aspects of the problem. 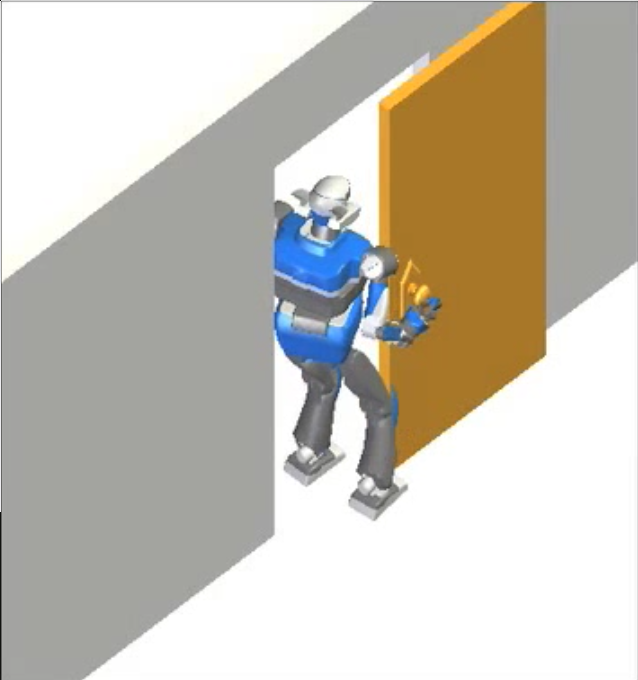 Motion control in dynamic environments. Motion planning for every-day tasks in human environments, JST/CNRS Workshop, Tsukuba, Japan, 1 October 2010. Prioritizing linear equality and inequality systems: application to local motion planning for redundant robots, IEEE International Conference on Robotics and Automation, Kobe, Japan, 12-16 May 2009. 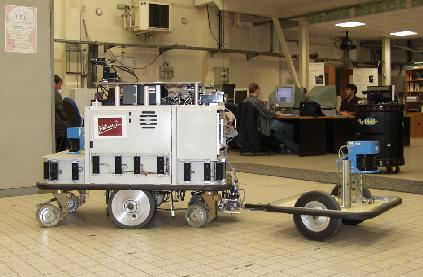 Workshop on Autonomous sensor-based motion for complex robots in complex environments, ICRA May 15, 2006. Déformation réactive de trajectoires, LAAS-CNRS, Toulouse, January 2002. Reactive Trajectory Deformation for Nonholonomic Systems: Application to Mobile Robots, IEEE International Conference on Robotics and Automation, Washington DC, 11-15 May 2002. Path Optimization for Nonholonomic Systems: Application to Reactive Obstacle Avoidance and Path Planning, Workshop on Control Problems in Robotics and Automation, Las Vegas, 14 December 2002. Reactive obstacle avoidance and trajectory optimization for nonholonomic systems: two problems, one solution, International Symposium on Robotics and Automation, Sevilla, 29 June 2004. Planification de mouvement (1) Cours en français à l'Institut de l'aéronautique et de l'espace, Toulouse, Septembre 2017. Planification de mouvement (2) Class in English at Institut de l'aéronautique et de l'espace, Toulouse, Septembre 2017. 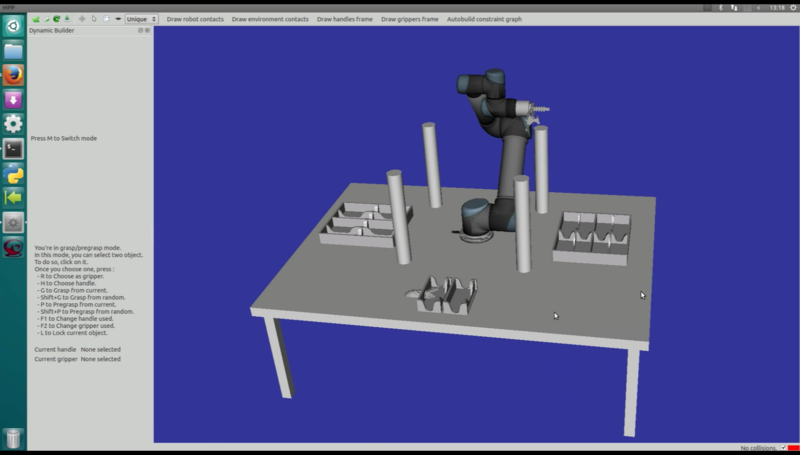 The stack of tasks A framework for real-time motion generation for redundant robots, May 23. 2013. Motion planning, Summer School on Image and Robotics, July 4. 2011, Grenoble, France. A short introduction to Python, A 4 hour lecture to introduce python basics. Algorithmique du mouvement pour les systèmes non holonomes, Lecture notes on controllability and motion planning for nonholonomic systems (in French, draft version). The fourth Workshop of the Anthropomorphic Motion Factory was held on November 30-December 01, 2017. La société américaine Boston Dynamics a diffusé une vidéo montrant les progrès de son robot Atlas. Serge Tisseron s’entretient avec Jean-Paul Laumond, roboticien, directeur de recherche au LAAS-CNRS à Toulouse. Pour le chercheur spécialiste de la robotique Jean-Paul Laumond, l’utilisation militaire de l’intelligence artificielle pose de nouvelles questions éthiques. Boston Dynamics a-t-elle révolutionné la fabrication des robots ? Les robots sont-ils vraiment notre futur ? La guerre de demain sera-t-elle robotisée ? Les robots peuvent-ils tout apprendre ou tout nous apprendre ? Planification de mouvement pour objets documentés. The Winter school on Humanoid and Legged Robots was held on December 5-6-7, 2016. The third Workshop of the Anthropomorphic Motion Factory was held on November 24-25, 2016. The videos of the talks are available on youtube. From November 14th to November 19th we have receiving PYREN, the first robot from PAL-Robotics of the TALOS serie. The "Fête de la Science" for the general public was help on Saturday October 15th. The second Workshop of the Anthropomorphic Motion Factory was held on November 19-20, 2015. Visit of Richard Murray (CalTech). Visit of Euroc Project members (LAAS, DLR, IPA, CREATE, ETHZ) during the opening workshop. Seminar topic: Many different things we do as computer scientists involve doing things that will be viewed and interpreted by people. In this talk, I will discuss how we have been applying ideas from perceptual science to two very different areas: data visualization and human/agent interaction. I will describe how we have been developing an understanding of the visual system's abilities to see aggregate properties (like average value) and applying this knowledge to design new information presentations. I will also describe methods for applying machine learning technologies to simplify data so that it is easier to comprehend. I will describe how the knowledge and techniques of perceptual science is influencing our work in character animation. Specifically, I will describe our efforts to understand how subtle aspects of movement can be controlled to create communicative effects. I will show examples about how virtual agents move their eyes, and discuss our work to apply these same ideas to robots. I will also introduce a new effort to consider robot arm motion. Bio: Michael Gleicher is a Professor in the Department of Computer Sciences at the University of Wisconsin, Madison. 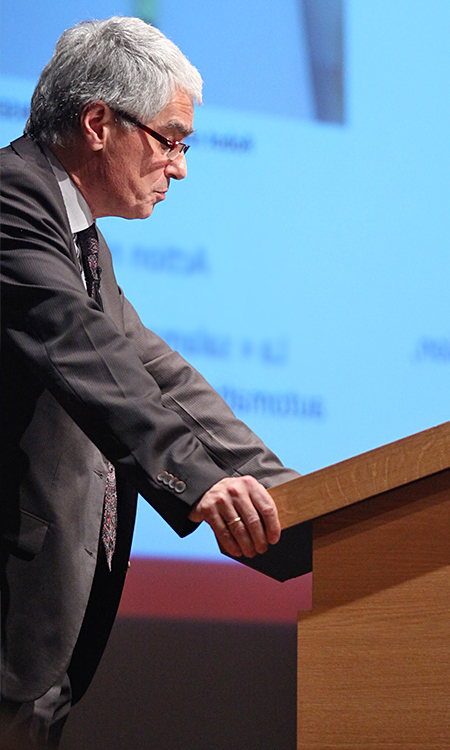 Prof. Gleicher is founder of the Department's Computer Graphics group. His research interests span the range of visual computing, including data visualization, image and video processing tools, virtual reality, and character animation techniques for films, games and robotics. Prior to joining the university, Prof. Gleicher was a researcher at The Autodesk Vision Technology Center and in Apple Computer's Advanced Technology Group. He earned his Ph. D. in Computer Science from Carnegie Mellon University, and holds a B.S.E. in Electrical Engineering from Duke University. 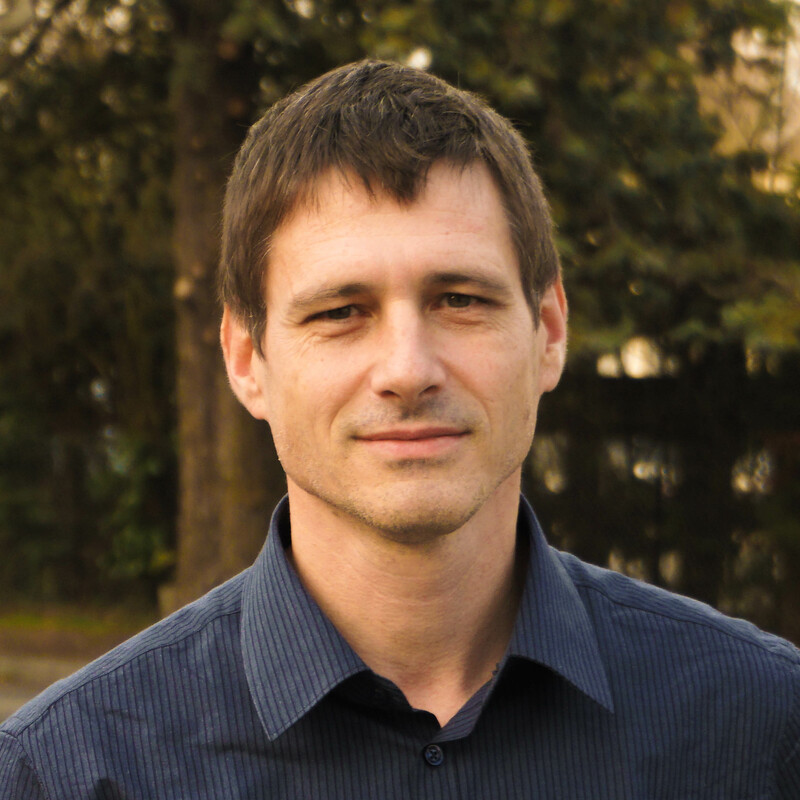 For the 2013-2014 academic year, he is a visiting researcher at INRIA Rhone-Alpes. Prof. Gleicher is an ACM Distinguished Scientist. At the end of his course "Robotics and motion generation", Nicolas Mansard showed his students the execution of motions on HRP-2. Visit of students of ISAE, a French engineering school in Toulouse, France. Visit of the PAL robotics team and presentation of REEM-C.
See more about PAL Robotics. Visit of the FP-7 Saphari project during the review meeting. This year, the team workshop was honoured by the presence of several invited guests. Two days of intensive scientific exchanges in the center town of Toulouse. See all the pictures. The work presented in this thesis is aiming at establishing the bases of a semiotics of motion, in order to facilitate the programming of complex robotics systems. The objective is to build a symbolic model of the action, based on the analysis of the numerical functions that drive the motion (control and planning). 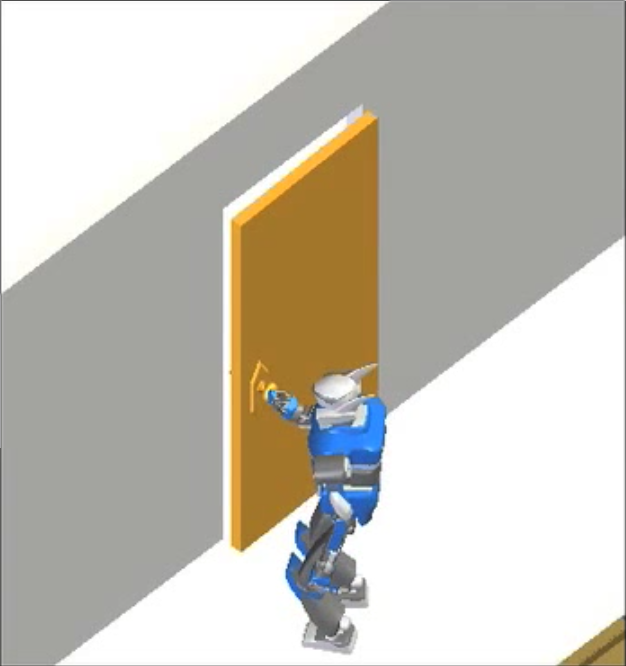 The methodology comes from the well-known robotics concepts: motion-planning algorithms, control of redundant systems and task-function approach. The originality of the work is to consider the task as the unifying concept both to describe the motion and to control its execution. Visit of PAL Robotics. An overview seminar will be given by Francesco Ferro in Conference Room, 2PM. Visit of Irene Sardellitti from IIT Genova. Four hours of class about new compliant actuators are scheduled on the mornings of Monday Dec 10 and Tuesday Dec 11, and a seminar on Monday Dec 10 at 4PM. Olivier Roussel and Andreas Orthey have started their PhD, respectively with Michel Taïx on deformable object path planning and with Olivier Stasse on deep learning. This thesis title is "Numerical Optimization for robotics and closed-loop trajectory execution". The presented work is divided into two parts. In the first one, an unified computer representation for numerical optimization problems is proposed. This model allows to define problems independently from the algorithm used to solve it. This unified model is particularly interesting in robotics where exact solutions are difficult to find. The second part is dealing with complex trajectory execution on humanoid robots with sensor feedback. 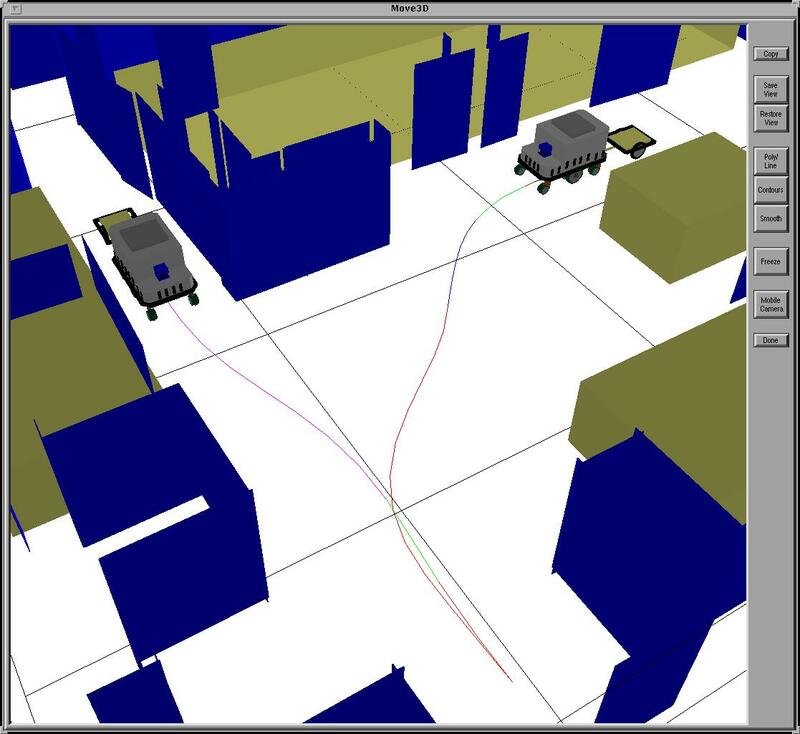 When a biped robots walks, contact points often slip producing a drift which is necessary to compensate. We propose here a closed-loop control scheme allowing the use of sensor feedback to cancel execution errors. 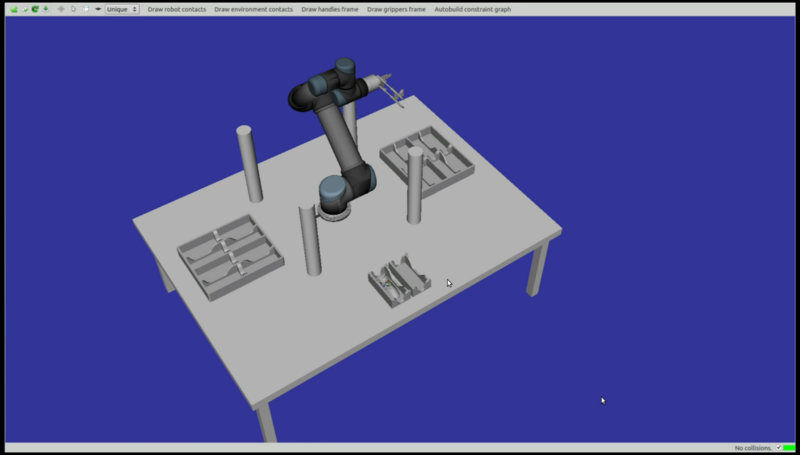 To finish, a method for the the development of complex robotics application is detailed. This thesis contributions have been implemented on the HRP-2 humanoid robot. New Gepetto Website is open. The new Gepetto web site is now open. All the sections are not fill up yet, but new data will keep coming. To be added soon: the pdf of the team bibliography, and the video database of the robot. HRP2 in demonstration in Collège de France, Paris. In the frame of the Collège de France 2011/2012 Technological Innovation Lilliane Bettencourt Chair 'ROBOTICS THE FOUNDATIONS OF A DISCIPLINE', the robot HRP-2 will be presented in Paris. The lecture will last one hour. 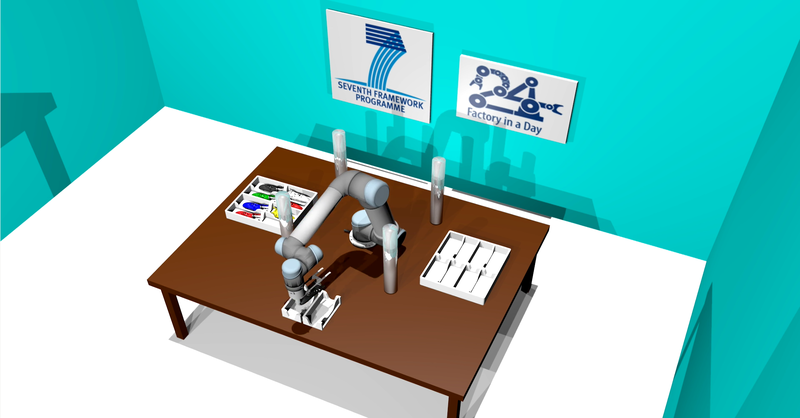 The robot will execute seven demonstrations. The video of the lecture will be available online shortly after the lecture. The group has been founded by the ANR for the call "Numerical Models", to study the motion of deformable objects, like cables. The project will be realized in collaboration with the CEA/LIST of Fontenay-Aux-Roses, and the company KineoCam from Toulouse. Oscar Ramos starts his PhD. Oscar Ramos Ponce has started is PhD in the Gepetto group. He did is master with us, supervised by L. Saab, obtaining very nice results on the animation of the robot dynamics, and them was the leading developper on the Novela event. His topic is about applying the results obtained in simulation or replayed in open loop by the robot, on a real rigorous close-loop manner. Danse with HRP2 at the Novela Festival. On saturday evening, the robot will be demonstrated in a modern dance event. The choregraphy has been designed by the artis Tayeb Benamara, that will danse with the robot during 20 minutes, on the rythmics of the DJ EnjeB. The presentation is at 7PM at the Salle du Cap, on the Campus Rangueil, Toulouse. Jean-Paul Laumond professor at the Collège de France. Jean-Paul Laumond holds the Technological Innovation Liliane Bettencourt Chair for the year 2011/2012 at the Collège de France. The title of the lectures is ROBOTICS THE FOUNDATIONS OF A DISCIPLINE. The lectures will be announced on the web site of the chair. They are free and open to all publics. The videos of the lectures will then be available on the same web site. Philippe Souères leads the team. Next year, Jean-Paul Laumond, who is at the origin of the Gepetto team and was leading it from its creation, is chairman at the Collège de France. The lead of the Gepetto group is now hold by Philippe Souères.